By default, the iPhone is configured to go to sleep after a certain period of inactivity to conserve battery life. And that's good, but there may be circumstances when you want to completely turn off the iPhone. Turning your phone off is especially helpful if the battery is critically low. Another reason to shut a phone off is if it's performing strangely; rebooting is often a fix, similar to solving issues on computers. Shutting down an iPhone is also a foolproof way to disable all alerts and phone calls (Do Not Disturb is pretty good for that, too). If you already know how to turn off your phone but none of the instructions in this article are working, check out our guide to what to do if your iPhone won't turn off. No matter your reason for doing it, below are the steps for shutting off an iPhone. This technique applies to (almost!) every iPhone model, from the original to the latest version. Hold down the sleep/wake button for a few seconds, until you see a message appear on the screen. This button is located on the right of the phone (it's either on the top or the side depending on your iPhone model). 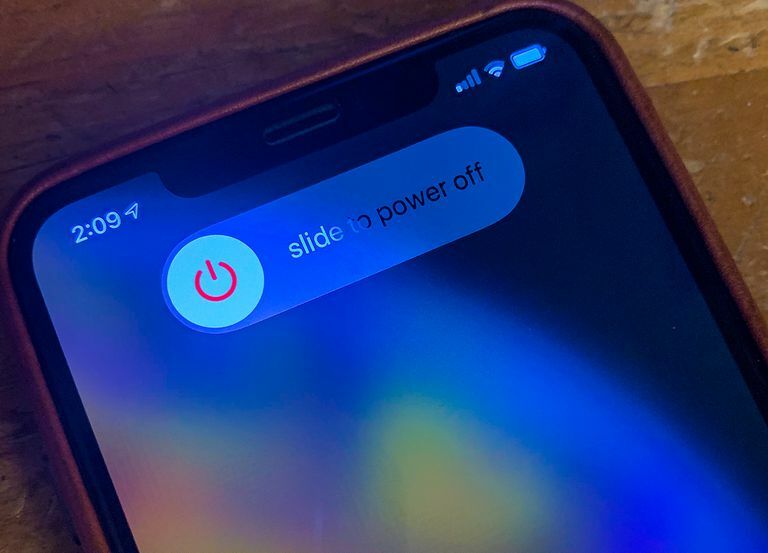 A power button will appear onscreen that reads slide to power off. Move the slider all the way to the right to shut off the phone. A progress wheel will appear in the center of the screen. The iPhone will turn off a few seconds later. If you wait too long to slide the button over, your phone will cancel the shutdown automatically. If you want to cancel it yourself, tap Cancel. Home down the Side and volume down buttons at the same time (volume up works, too, but dong that accidentally take a screenshot). Wait for the power-off slider to appear. Slide it left to right and the phone will shut down. At the same time, hold down both the sleep/wake button and the home button for 10 seconds or more, until the screen goes black and the Apple logo appears. On the iPhone 7 series and 8 series, hold down the volume down button instead of home. When you see the logo, stop holding both buttons and let the phone start up normally. The hard reset feature is not the same thing as restoring your phone to its factory default settings. The word "restore" is sometimes called "reset" but has nothing to do with restarting your phone. Hold down the Side (aka sleep/wake) button until the screen goes dark and then let go of the button and let the phone start up. Hold down the sleep/wake button (or side button on newer iPhones) until the Apple icon appears on the screen. There aren't any other buttons you need to press. Just wait for the phone to start up.